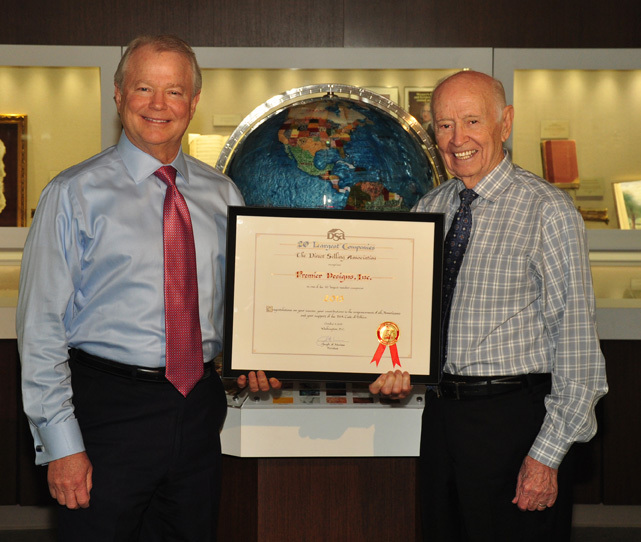 The Direct Selling Association (DSA) has recognized Premier Designs as one of its top 20 largest member companies! This is the first time the DSA has released this information which was based on 2012 U.S. net sales. The top 20 companies offer direct sales spanning multiple categories, and we’re honored to be among them. We would also like to extend our sincerest gratitude to our Jewelers whose hard work made this possible. Premier Designs has been a proud member of the DSA since 1993, and remains committed to upholding the high standards of their Code of Ethics. We invite you to click on the video link below to see what DSA President, Joseph Mariano has to say about Premier Designs. Way to go Premier! LOVE our Business and everything you do! Way to go Premier! Now everyone knows what we have always known, there is no finer company than Premier Designs and it’s because of our people! Congratulations! I am so proud to be a part of Premier. God bless you! Congratulations!!! I’m so proud to be a part of this awesome company. The best is yet to come!!! Congratulations to one of the best companies to be working with. Premier is the BEST (as we’ve always known!) So PROUD to be a part of it!! I’m not surprised but so happy and proud to be part of Premier.